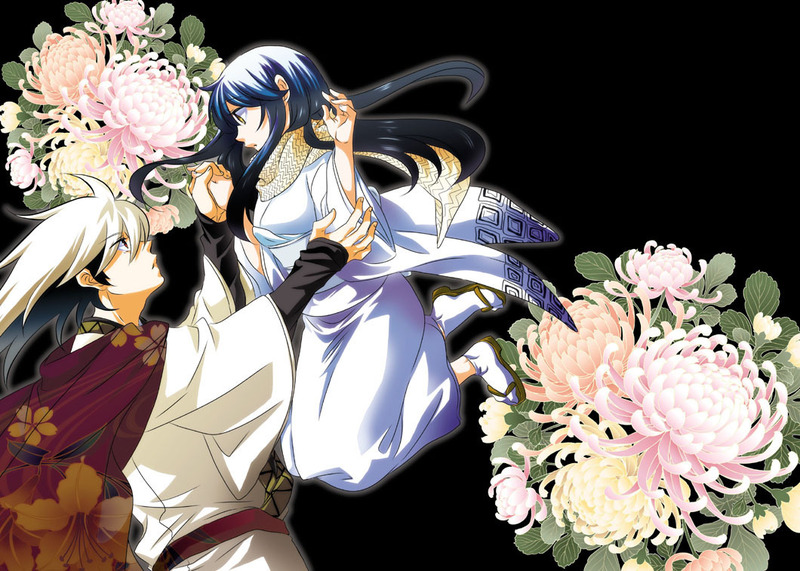 rikuo and yuki onna. . HD Wallpaper and background images in the Nurarihyon no Mago club tagged: rikuo tsurara. This Nurarihyon no Mago photo contains bouquet, corsage, posy, nosegay, rose, rosiness, and rosiness rose. There might also be rose, mwaridi, rosebush rose, hippeastrum, hippeastrum puniceum, camellia, and camelia.